30 minutes. Headphones required. Eyes closed. Not suitable for looping. Includes full usage guide. This session is the ultimate unwinding tool. Put your feet up, relax and listen, and feel your problems drift away. Take a break and shut out the rest of the world, just for a little while. 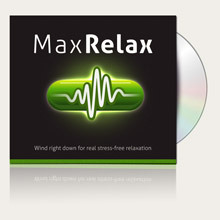 Use it after a busy day, a busy week, or any time you want to wind down and de-stress. The Schumann Resonance, 7.8Hz, is the major resonance of our Earth’s electrical atmosphere, renowned for calming and grounding influences. The session starts at an alert 13Hz, letting you close your eyes and shrug off the day at 10Hz, before spending the last 18 minutes at 7.8Hz, leaving you there to return quietly at your own pace.